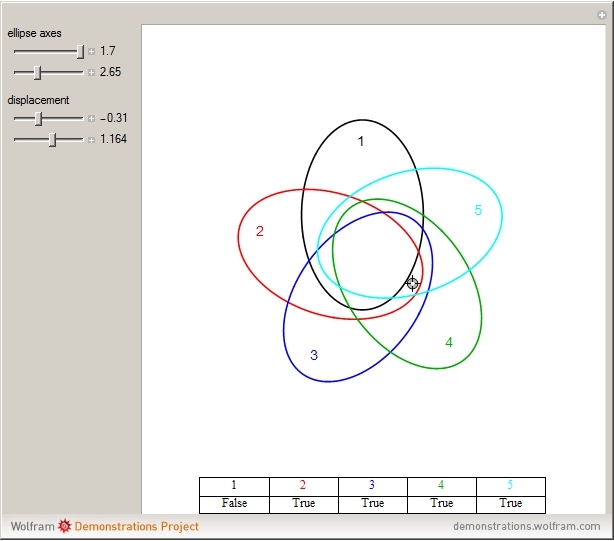 This Demonstration shows Grünbaum's rotationally symmetrical five-set Venn diagram. Drag the locator to select a position in the proposition space. The table then shows whether each of the propositions is true or false. 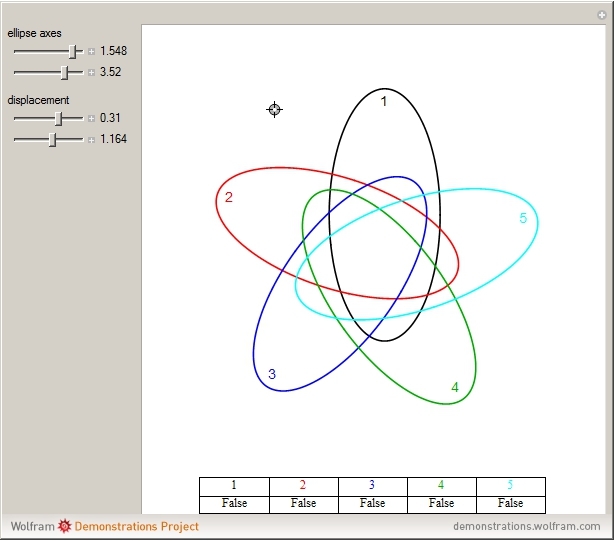 F. Ruskey and M. Weston, "A Survey of Venn Diagrams," The Electronic Journal of Combinatorics, DS#5. 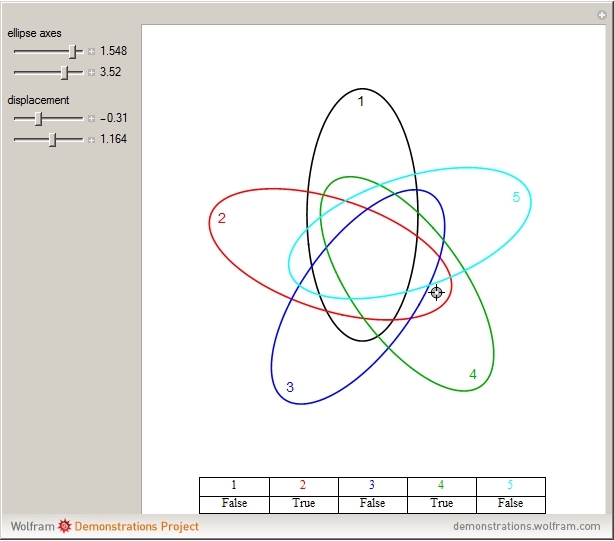 (Apr 2, 2019) www.combinatorics.org/files/Surveys/ds5/VennEJC.html. B. Grünbaum, "The Search for Symmetric Venn Diagrams," Geombinatorics, 8(4), 1999 pp. 104–109. (Mar 27, 2019) sites.math.washington.edu/~grunbaum/SymmetricVennDiagrams.pdf. Wikipedia. "Branko Grünbaum." (Mar 27, 2019) en.wikipedia.org/wiki/Branko_Gr%C3%BCnbaum.